What does a welcoming campus through cultural climate and multicultural competence look like? How should individuals with specific identities experience IUPUI as a welcoming campus? What are the present ways IUPUI provides a welcoming campus through cultural climate and multicultural competence? How do our peers and other aspirant institutions create welcoming conditions through cultural climate and multicultural competence? Where are opportunities to strengthen or improve our approaches related to cultural climate and multicultural competence at IUPUI? 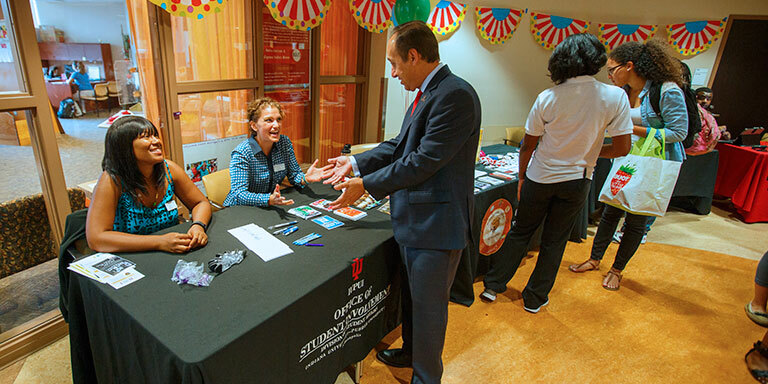 How can we foster a greater sense of community, connectedness, and pride in IUPUI through cultural climate and multicultural competence? In what ways can our policies, practices, and processes be enhanced to achieve a more welcoming campus experience through cultural climate and multicultural competence? How should our various units, offices, committees, and councils work with each other in order to strengthen our culture toward a welcoming place for varying identities? What are some indicators we should use to determine our progress and effectiveness toward becoming a welcoming campus through cultural climate and multicultural competence? Specifically, what are some recommendations concerning things IUPUI should continue doing or consider changing to be a welcoming campus through cultural climate and multicultural competence? 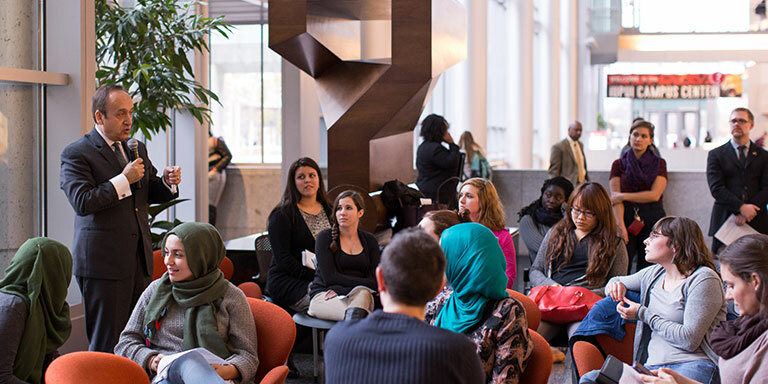 IUPUI’s mission as an urban-serving institution positions the campus to soon be a majority-minority campus, as we continue to attract more racially and ethnically diverse students. This provides an opportunity for IUPUI to exemplify a welcoming and authentically inclusive culture that promotes access and success for students, faculty, and staff, places an emphasis on social justice, and signals a welcoming and inclusive campus climate. 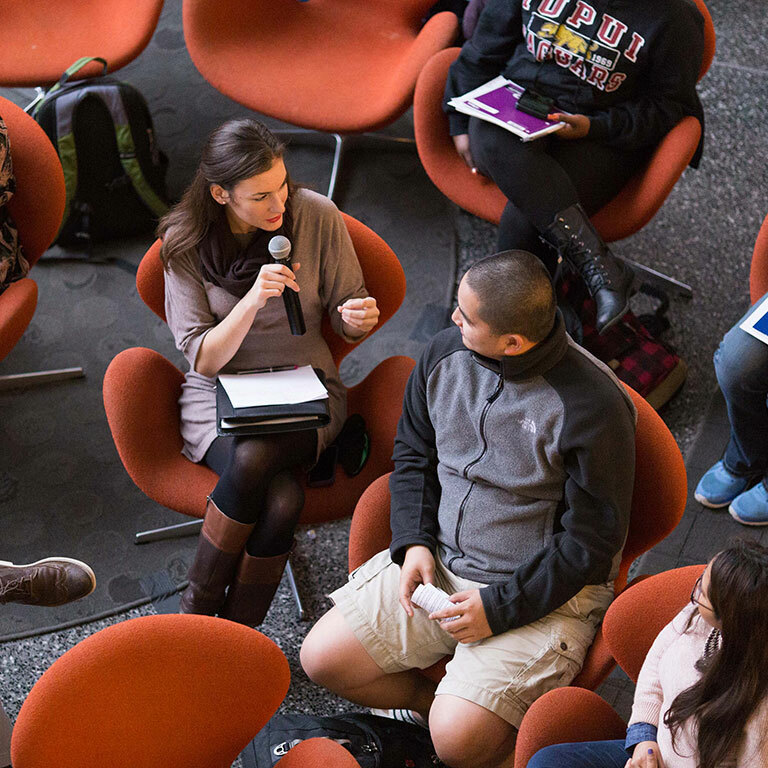 This task force will draw on the expertise of IUPUI’s diverse students, faculty, and staff to identify opportunities for learning, engagement, programming, resources, and services to address our multicultural environment. This will include an exploration of multicultural competence through personal interactions, training, and educational resources integrated in curricular and co-curricular offerings. While IUPUI has made strides in its efforts to promote multicultural inclusion, this task force will look for additional ways we can strengthen and sustain this work across campus.